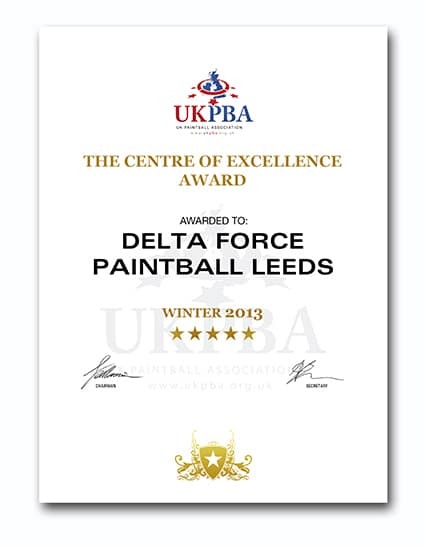 Yorkshire Paintballing awarded UK paintball centre of excellence! There’s a lot in store for visitors to Delta Force Paintball near Yorkshire! Set in the gorgeous woodlands in Wakefield, our Leeds Paintball centre has been awarded the trophy for UK Paintball Centre of Excellence Award for the 2013 winter season; with its top rate equipment and facilities at base camp, first class customer service and state-of-the-art paintball equipment, it’s easy to see why! 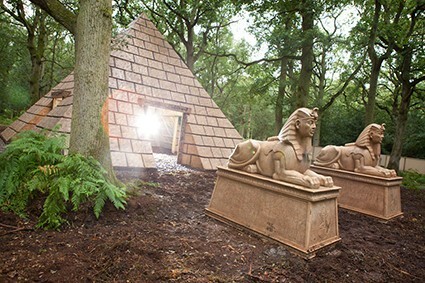 The large range of exciting paintball game zones with extensive game props including A Bridge Too Far where you and your team need to battle your way through the Dutch countryside; Command Post set in the deserted hills of Afghanistan where players need to infiltrate the enemy defence system and try to eliminate it with fake explosives; Castle Wallenberg featuring a large two-storey wooden fortress with sniper tower; Chemical Alley where players need to try and seize control of a heavily safeguarded fuel depot; London Apocalypse which includes several original doubler decker buses for players to hide in; Mad Murphy’s Jungle Attack where your mission is to rescue an injured airman who hangs from his parachute somewhere deep inside the jungle; The Haunted Graveyard which includes lots of eerie tombstones and a derelict church; Tomb Raider featuring a giant stone pyramid with tunnels and statues and Viet Cong Village where lots of hostile villagers await you! 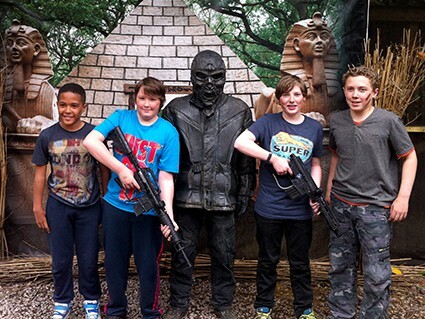 There really is something for paintballing fans in Yorkshire at Delta Force Paintball Leeds! Your day at Delta Force Paintball Leeds wouldn’t be complete without coming face to face with the Delta Force Paintball Terminator! The rogue cybernetic assassin can appear in any game zone at any time, seeking a worthy challenger! If he decides he wants to fight you, he’ll raise his lethal BT4 combat paintball guns and point them in your direction. Then, it’s up to you whether you choose to accept his challenge – if you choose not to, you will just have to ignore him and hope he disappears… But if you do accept, you’ll need to open fire at him and take him on one-to-one! If he thinks you’ve been a worthy contestant, he’ll give up one of his awesome paintball guns for you to use for the rest of the game; it’s the only chance you’ll get to use them! To request more information about Delta Force Paintball near Yorkshire or to book a day of paintballing in Leeds with us, call the booking office on 0203 869 9301 today!